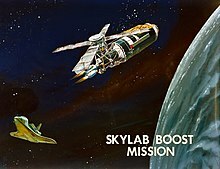 ↑ 1 2 Major MSFC Skylab Contractors. 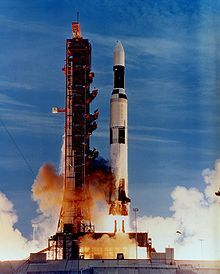 / 1974 NASA Authorization : Hearings, 93rd Congress, 1st Session, on H.R. 4567 (superseded by H.R. 7528). — Washington : U.S. Government Printing Office, 1973. — Pt. 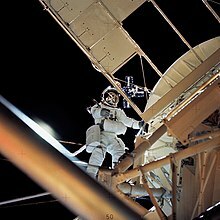 2 — P. 1106, 1250-1251 — 1307 p.
↑ 1 2 3 4 Глазков Ю. Н., Колесников Ю. В. В открытом космосе. — М.: Педагогика, 1990. — (Библиотечка Детской энциклопедии «Учёные — школьнику»). — ISBN 5-7155-0200-4. ↑ Alice Gorman. 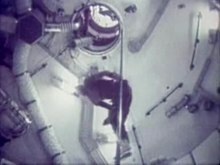 The sky is falling: how Skylab became an Australian icon // Journal of Australian Studies. — 2011. — Vol. 35. — P. 529-546. — DOI:10.1080/14443058.2011.618507.